Particularly during the early years of digital astrophotography, Tony's pictures were the reference to which digital imagers compared their images. Finally, to many in the community, Tony's images remain the first among equals in their aesthetic quality, composition and color! Tony's pictures have been published in countless magazines, television productions and books. He is a highly regarded speaker and the recipient of numerous, prestigious awards. This workshop will demonstrate the robust capabilities of CCDAutoPilot4's interface and control functions. Gathering data on multiple or single targets, in one session or over multiple session will be discussed. Setup, initialization, software and hardware options, focusing, guiding parameters, target and calibration frames acquisition, and much more will be covered. 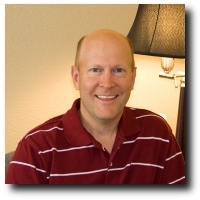 Frank has a BSEE from USC and designs and writes Communications Management software. 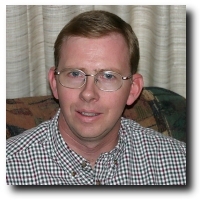 He and two partners own Carolina Technology Associates, LLC which has customers in the Southeastern US and Canada. 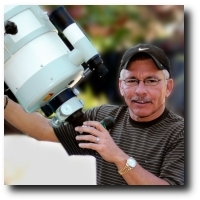 Frank operates observatories in Rock Hill, SC, at Twinoaks Observatory; in New Mexico at world famous New Mexico Skies and in northern California at Sierra-Remote Observatories - Blue Sky Observatory. If the weather is good in all the locations, he will be running 5 robotic systems on any given night, all being controlled by CCDAutoPilot4. 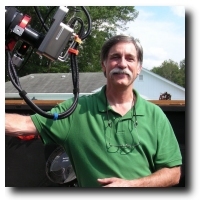 Frank has been imaging with various equipment since 1999, and has been using CCDAutoPilot since Version 1 was released. Adam's workshop will demonstrate processing techniques in CCDStack and Photoshop that leverage threshold brightness values and layer masks. Adam operates the public observing programs at the Mount Lemmon SkyCenter- a new science facility north of Tucson featuring the 32-inch Schulman telescope. Literally dozens of Adam's images have been published in various books such as: A Year in the Life of the Universe, Cosmic Butterflies, Beyond Earth, National Geographic, Encyclopedia of Amateur Astronomy, The Caldwell Objects, Night Wonders, and hundreds of his images have been published in magazines including Astronomy Magazine, Sky & Telescope, Coleum, Astronomie, Scientific American, Ciel&espace, and The Practical Astronomer. Adam has been an invited speaker at various conferences and seminars on imaging, including the Advanced Imaging Conference in San Jose, the East Coast Conference on Advanced Imaging, EPOCH 2007, North East Advanced Imaging Conference, Riverside Telescope Makers Convention, Astronomical League Convention, Imaging The Sky Conference, and more. NASA has selected Adam's images as Astrophoto of the Day 34 times, and Space.Com has selected over 20 of his images for their image of the day. Special editions such as Astronomy's "Atlas of the Stars" and Sky & Telescope's "Beautiful Universe" and 10 book covers also use Adam's images. Many of these images were taken during Adam's time administering the Advanced Observing Program at the Visitor's Center at Kitt Peak. We will look at the fundamentals of visual form in familiar works of art and see how they can be applied to composing and processing astronomical images. These fundamentals fall into two basic categories: visual elements (such as line, shape, color, etc.) and principles of design (balance, contrast, repetition and rhythm, etc.). What worked for Leonardo can work for astrophotographers, too! Dr. Letty Bonnell received her Art History doctorate from The University of Maryland, College Park in 2002. Her dissertation, Elephants and Hunters, Diviners and Oracles: Yorùbá Carving in Bone and Ivory, is based on research carried out in Lagos, Ìbàdàn, Ifè, Òsogbo and Öwö, Nigeria, during the summer of 1998. Dr. Ekpo Eyo, a noted Nigerian archeologist and art historian, invited Letty to be contributing editor for his latest book, From Shrines to Showcases: Masterpieces of Nigerian Art, which was published this spring by the Federal Ministry of Information and Communication, Nigeria. She is currently editing a concordance of African art for an exhibition and catalog masterminded by a colleague, photography historian Wendy Grossman: Man Ray, African Art, and the Modernist Lens. Letty has been teaching full time at Loyola College in Maryland as an Affiliate Assistant Professor since 2002, offering courses on the arts of Africa, African-Americans, and contemporary art, as well as art appreciation for students in the Elementary Education program. At Loyola she also supervises and maintains visual resources for the Fine Arts department. 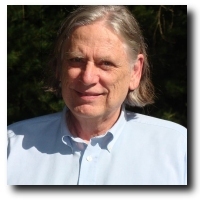 Dr. Jerry Bonnell joined NASA Goddard Space Flight Center in 1988 and enjoyed working on the Cosmic Background Explorer (COBE) and International Ultraviolet Explorer (IUE) projects. Since 1992 he has been a member of the Compton Gamma-Ray Observatory (CGRO) Science Support Center (SSC) staff in the Laboratory for High Energy Astrophysics (LHEA). His research efforts have involved multiwavelength studies of gamma-ray selected blazars and studies of the time histories and spectral evolution of cosmic gamma-ray bursts. Dr. Bonnell is also one of the editors of the NASA Astronomy Picture of the Day (APOD) website. Ken Crawford will show you how to take your narrowband images to the next level. He will demonstrate how to combine narrowband data with RGB data for more dynamic range and colorful stars. In a step by step fashion he will also show how to combine the best of all the master frames into a synthetic luminance and use is to bring out depth and vibrant colors. Ken loves his details and will demonstrate the multi strength deconvolution layer blend sharpening system. This method combines the sharpest details with smooth backgrounds so you can dig out all of the details in your images. Ken Crawford started imaging in 2001 and currently takes data from his backyard observatory and from a remotely controlled observatory in South Australia. 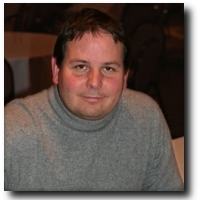 He enjoys the technical art aspect of the hobby and loves to share his passion for the hobby by giving presentations all over the US and is the current President of the Advanced Imaging Conference. Tom Davis will share his approach to imaging dusty nebulae, from how to find and image the dusty regions of the night sky, to demonstrating the use of software and commonly used plugins, while keeping the processing as simple as possible. He will also discuss the benefits of using short focal length instruments. It was his family's tradition to gift sons with a shotgun around their twelfth birthday. Fortunately, Tom received his first telescope, instead- a 60mm Sears refractor. Even though he could not easily observe many nebulae or galaxies (faint or otherwise) through it, the rings of Saturn were clearly visible and that got him hooked. It wasn't until many years later after he finished medical school, residency and fellowship that he had sufficient funds to purchase a 'real' telescope- a Celestron 8. His move to a region of the country with relatively darks skies, southeast Idaho, was a boon to his re-awakened enthusiasm for astronomy. In 2001, Tom began taking photographs through his telescope relying on film-emulsion to gather faint stellar signals but, by the next year, SBIG's ST-237 CCD camera helped him accomplish the same task. Today, Tom pursues short focal length imaging with an emphasis on documenting challenging dusty reflection and dark nebulae that are rarely depicted by others. His boundless enthusiasm for the hobby is evidenced by his use of two imaging locations half a world apart. 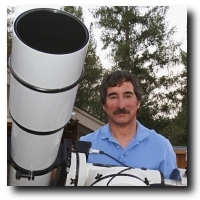 From Idaho, Tom works with a 12" f/3.5 corrected Newtonian astrograph and a 5" f/5.2 apo refractor. From Australia, a 6" f/5.4 tele-compressor equipped apochromatic refractor serves as his light gathering instrument. To help him cope with the fickle skies of eastern Idaho's Teton region, Tom often gathers data with two telescopes simultaneously- one captures luminance information while the other records color. Visit Tom's web site at Painting with Star Light. An international team of astronomers, led by Dr. David Martinez-Delgado, has identified enormous star streams on the periphery of nearby spiral galaxies and, for the first time, obtained deep images of galactic cannibalism- a process also believed to be occurring between the Milky Way and the Sagittarius dwarf galaxy. The team was joined by amateur astrophotographers who were responsible for obtaining the images that detected the streams. This collaboration demonstrates the potential for twenty-first century amateurs, armed with the latest technology, to participate in competitive international scientific projects. 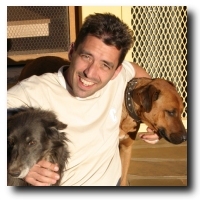 Dr. David Martínez-Delgado (Cordoba, 1970) is the principal investigator of the Galactic Archaeology group at the Instituto de Astrofisica de Canarias (Tenerife, Spain). In the last years he has actively worked in the study of the tidal destruction processes of dwarf galaxies in the Galactic halo. In particular, he has searched and characterized the Sagittarius tidal stream, and studied this satellite interaction with our Galaxy using theoretical simulations. Within his main findings we can cite the discovery of a tidal tail in the Ursa Minor satellite galaxy, the detection of the Sagittarius North stream, the association of the Palomar twelve globular cluster with the Sagittarius stream, his study of the Monoceros tidal stream, the nature of Canis Major galaxy and his participation in the discovery of three new dwarf galaxies in the Local Group. Dr. Martínez-Delgado has published more than forty refereed journal papers in total for professional magazines in addition to several contributions at international conferences. He has also organized several international scientific meetings on the topic and the Canary Island Winter of Astrophysics in 2008. Nowadays, he is leading a project devoted to the searches for stellar fossils of dwarf galaxy accretion around nearby spiral galaxies, in collaboration with a team of American astrophotographers. He also has a large number of international collaborations with leading groups in this research area in Europe and USA. 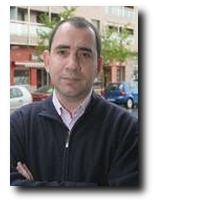 Moreover, he has a long experience in the production and interpretation of precision photometric data and the study of stellar populations in the Local Group of galaxies using synthetic color-magnitude diagrams (Martínez-Delgado, PhD thesis 1999, awarded with a recognition by the Universidad de La Laguna). Dr. Martínez-Delgado in an expert observer and has participated in several observation campaigns at the Roque de los Muchachos (La Palma), Calar Alto (Spain), Las Campanas (Chile), La Silla (Chile), VLT (Chile) and Paranal (Chile) observatories and with the Hubble Space Telescope. He was also support astronomer for two years at the Teide Observatory (Tenerife) and serves as the coordinator of Spanish Pro-Am Collaboration for the Spanish Astronomical Society since 2009. Photoshop is a key tool for astrophotography. Alan Erickson and Aravind Krishnaswamy, Adobe Photoshop engineers, will share their tips and tricks on using the tools in Photoshop for processing astro images. They will focus on new tools available in CS3 and CS4, discuss HDR (including some theory behind HDR) and advanced selection. Alan Erickson is a Senior Computer Scientist at Adobe Systems. He joined Adobe in 1996, working on Photoshop and related products. His feature work has included video layers, animation, clone palette, and adjustments palette. Erickson moved with his family from Minneapolis to Denver in 1998. The warmer climate and clear skies kindled an interest in astronomy. Though not initially interested in astrophotography, he started tinkering with it in 2004 when he got his first digital SLR camera. With numerous equipment upgrades and many hours of effort, Alan continues to develop proficiency and understanding of imaging the night sky. Erickson strives to bring awareness of the astro imaging discipline to other members of the Photoshop team. That awareness paid off in 2008 when Adobe helped sponsor the Midwest Astro Imaging Conference, and sent him to represent Adobe. Erickson contributed an article to the January 2009 issue of AstroPhoto Insight, covering the new features in Photoshop CS4. The only thing better than creating an interesting image is to produce a picture that viewers consider memorable. This requires the use of a few common ingredients that should be included in any astro-photographer's imaging pantry- clarity, composition and saturation. This presentation will discuss simple techniques that leverage each aspect individually (and in combination) to turn a less than satisfying data set into something delicious for even the most discriminating eye tooth! Jay's interest in astronomy was lit by the space race of the sixties. For example, while live televised images of Neil Armstrong and Buzz Aldrin's historic lunar walk were flickering on our family television, I recall rushing into the backyard with my 2.5 inch refractor in hopes of glimpsing their landing site on the moon. COSMOS, Carl Sagan's epic thirteen part PBS series further fanned the flames of my enthusiasm and ultimately led to the purchase of Meade's original SCT shortly thereafter. Many other telescopes followed and by the time of Halley's Comet's most recent passing, I had learned to take manually guided photographs through a telescope with a 35mm film SLR camera. Unfortunately, family, kids, career and expenses turned me into a spectator as amateur astronomy converted from film to CCD during the 1990's. However, his fascination with imaging was rekindled during an un-planned visit to personal websites filled with fantastic CCD pictures by many highly regarded imagers like Russell Croman and Adam Block- but it was the striking pictures of Robert Gendler that ultimately inspired him to re-engage with this aspect of the hobby. So, after many months of contending with serious light pollution from his San Jose, California backyard, Jay began exposing pictures with remotely controlled instruments located under very dark skies in New Mexico and near Melbourne, Australia. For the past four years, Jay has also participated with an international team of astrophysicts, lead by Dr. David Martinez-Delgado, in search of galactic tidal streams- the faint remians of long-ago vanished satellite galaxies- surrounding nearby star systems. There are many aspects to post-processing your images. Warren Keller will provide an overview of five critical steps, primarily with Photoshop, that he calls 'The Five Ss' TM of Astrophotographic Post-Processing: 1) Stretching, 2) Sharpening, 3) Saturating, 4) Smoothing, and 5) Selecting. At 15-years old, Warren began exploring the night sky with an 8" Newtonian, but by college; the sky was forgotten for a career in music, playing bright-city venues far from the dark skies of his youth. Receiving gifts of a star chart and modest achromat, Christmas of 1997 re-ignited the passion. He says 'When I was a child, I was given Fred Hoyle's 'Astronomy'. The cover had the glossiest, full-color photo of the Ring Nebula in the blackest, velvet sky. I knew from that moment I must someday photograph the heavens' wonders.' Warren's artful photos are displayed at Billions and Billions.com. Beginning with film in 1998, Warren switched to CCD in 2003. Artistic by nature, it is less about Cosmology and Charge Coupled Devices, and more about the thrill of the hunt for the myriad of beautiful shapes and colors throughout the universe. Warren has the ability to reduce difficult concepts of Astro-Imaging to the essentials and effectively teach it to others. His tutorial business IP4AP.com has given clients the world over, a 'quick start' to taking their own great photos, and was named a Sky & Telescope Magazine 'Hot Product' in 2007. Warren uses his background in communications and art history from the American University, Washington, DC to emphasize the importance of artfulness in a largely left-brained hobby. Warren is proud to have been published in Sky & Telescope, Astronomy, Amateur Astronomy, and many places on the World Wide Web, most prestigiously- NASA's APOD. 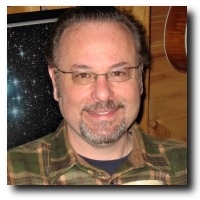 Warren writes extensively for AstroPhoto Insight, and is list owner/moderator of SXV-OSC, a user group for One-Shot-Color CCD at Yahoo! Groups. Warren lectures and leads imaging workshops throughout the country, and has presented to star parties and groups as varied as Boy/Girl Scouts, Chambers of Commerce and camera clubs. 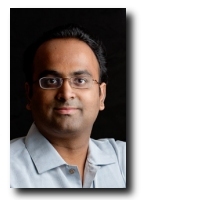 Aravind Krishnaswamy is a Senior Computer Scientist in Adobe’s Advanced Technology Labs working on graphics related topics. He joined Adobe in 2005 where he worked on Photoshop CS3. In 2007, he joined the Advanced Technology Labs and helped develop interactive ray tracing technology which was incorporated into Photoshop CS4. 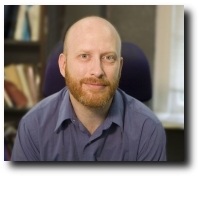 Some of his current research interests include: simulation of natural phenomena, biophysically-based rendering of organic materials, practical global illumination, and parallel computing. Prior to joining Adobe, he spent 6 years at Inscriber (now Harris Broadcast Systems) developing animation and broadcast television software. Krishnaswamy received his BMath and MMath in Computer Science from the University of Waterloo. In his free time Krishnaswamy can be found behind the viewfinder of a camera as an avid bird and wildlife photographer. He can also be found with his telescope and camera in his backyard trying to take images of the heavens. Ever looked at your astrophotos and think you've found something new? There might be a new asteroid, a comet or supernova hiding in your images. As a followup to the 2008 Sky & Telescope article, Paul present the hands-on steps of using the various tools for analyzing images, checking finds and pulling out the appropriate data for submission. We'll walk through the requirements of obtaining your own Minor Planet Center observatory code needed to properly submit your discoveries. After this talk, we're sure you'll all be looking back through your image data looking for surprises. Paul Mortfield chairs the operation of the David Dunlap Observatory, Canada's largest optical telescope near Toronto. He has worked with NASA's SOHO solar spacecraft, hosted many educational broadcasts on NASA-TV and is currently part of the education/outreach team of NASA's LCROSS mission to the moon. 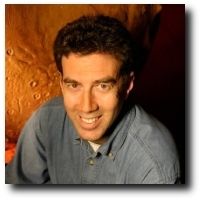 He is a member scientist of NASA's Education Products Review team and has been the chair of the AAVSO Solar Program since 2006. Paul's remote telescope at SRO in California is used to capture astrophotos, some science, and to date has discovered 3 asteroids. - What is CCD Commander? Mike Sherick is retired from over 30 years in the computer industry having been active in startup companies, designing and developing printing/plotting devices for the engineering marketplace. Mike's natural love for electro-mechanical design also included a personal interest in building experimental aircraft, telescopes and observatory systems. Over the last six years, Mike has built three private robotic observatories. 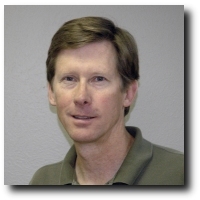 Currently, Mike owns/operates both the Sagrada Observatory at his home in Las Cruces, NM, and the JMSM Observatory near Mayhill, NM. These remote, robotic observatories were designed specifically for CCD Imaging of popular deep sky objects. Mike's most recent engineering challenge is a fork-mounted 24" RC telescope, currently under construction, that will be used for CCD Imaging at his JMSM Observatory sometime in 2010. Using ACP and ACP Scheduler for remote image acquisition with a modest telescope. How to plan and schedule the imaging to make the best of the telescope and conditions. Workshop will demonstrate creation of plans that combine astro-imaging, variable star data collection, and automated support for the VOEvents (observation of Gamma Ray Bursts, supernovae, CV outbursts,etc). 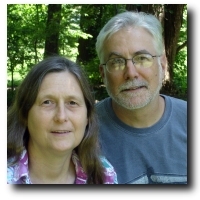 George is a retired software and network design engineer living in the Boston Massachusetts area. 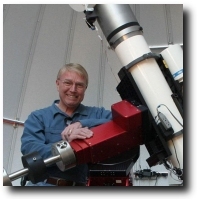 Acquiring his telescope in 1984, he currently works with a Celestron 14 situated in Mayhill, New Mexico at New Mexico Skies which he has been operating remotely for two years. George interests include both astro-imaging and variable star observations. - How does autoguiding work? - What do I need to get started with guiding? - What can I do to make my guiding better? - Open Q&A on your guiding experiences, concerns, and problems with guiding. - Can you do high-quality astrophotography without breaking the bank? - How should I allocate my budget? - Can moderate mounts really be used or do I need a high-end mount? - What's the difference between cameras anyway? - How well do DSLRs stack up against dedicated astro CCDs? 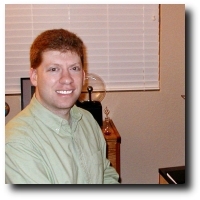 Craig is perhaps best known for the software he writes for Stark Labs. He's the author of numerous free or affordable pieces of astrophotography software for the Mac and PC including PHD Guiding, Nebulosity, and DSLR Shutter. He's a frequent contributor to Astrophotography Insight, Astronomy Technology Today, and has a new regular column on Cloudy Nights. He's also given talks at the MWAIC, NEAIC, Nightfall, and the Julian Starfest. Long focal length photography can be a real adventure since there are millions of small objects that can be imaged. Volker Wendel will share some of his remarkable images and explain what is necessary to achieve high-resolution results. Volker’s interest in astronomy was nurtured at the age of four, when his grandmother introduced the him to the moon through an open window using a hand held telescope. Years later, a small camera rigged to a modest Newtonian telescope helped him produce his first astronomical exposures. Significantly, while working on the initial film roll, serendipity threw a bright meteor across the sky where his instrument was pointed at the instant the shutter opened. This resulted in a spectacular image that was subsequently published in a book about astrophotography and for Volker, there was no turning back! In the years that followed, the Newtonian was superceded by a Celestron 8, then a Celestron 11 and finally by both a 15-inch Phillipp Keller astrograph and a fast 12-inch Deltagraph. Eleven years ago, Wendel and two friends began producing both gray-scale and full color images using medium format and Technical Pan 6415 emulsion based film. They called themselves the Spiegelteam and the name has stuck. It was also during this period that his mentor, Dr. Ernst Brodkorb, introduced Volker to digital image processing. After seeing the published results of early CCD imaging pioneers, Volker moved from traditional film to all-digital data collection based on his recognition that astrophotography was fundamentally changing. German weather leaves much to be desired and clear nights, when they happen, are typically awash with light pollution. So, if better skies won't come to the imager, then the imager must travel to better skies. Thus, Volker took his setup on the road to places such as "Pfälzer Wald", Germany's largest forest under dark clear skies; Gornergrat, a stupendous location in the shadow of the Matterhorn over 3,000 meters high in the Swiss Alps and Namibia, on three separate occasions with his close friend Bernd Flach-Wilken. Today, Volker relies on a f/4,6 15-inch Newtonian and a SBIG ST10XME camera riding on a ninety kilogram German equatorial Alt-AD7 mount. Many of the Spiegelteam images have been published in international astronomy magazines and are featured in advertisements. View their amazing results at the Spiegelteam web site.